And there are a few things you may be interested in knowing about this vile wyrm, which may or may not be surprising. Peter Jackson is a master of leaking out just the right amount of information to stir up the greatest enthusiasm and annoyance among fans. Very little is known about Smaug, but it is worth knowing, nonetheless. (1) This is NOT Smaug! This image popped up on the web a few months ago, and it was thought to be a photo of a statue of Smaug. 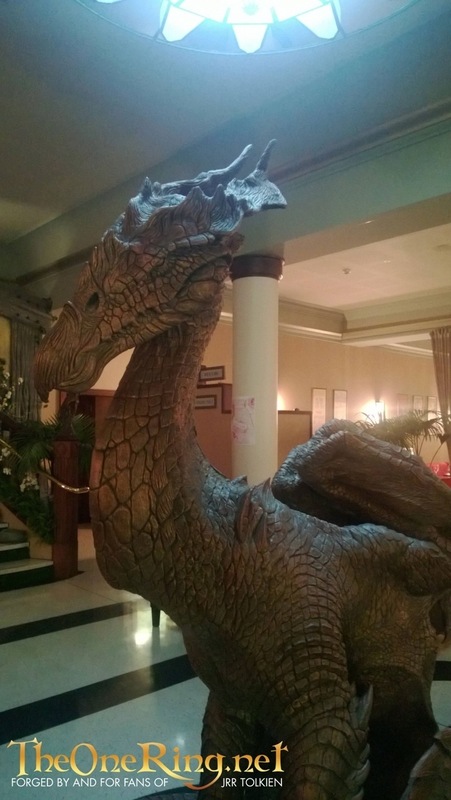 Yes, it is a statue made by Weta Workshop and yes, it is in a place at the Roxy Cinema in Wellington that generally has hosted other statues for Peter Jackson's films, but it is not Smaug. For one, it has a beak, and two, there has been no official confirmation that this, indeed, is Smaug. In an interview with Speakeasy, Benedict Cumberbatch said that "This incredibly vainglorious, beautiful, fantastical creature of myth with such power and human frailty, his vanity and self-promotion and ego being his own self-destruction really, and not realizing his weakness and his strength, and having a literal Achilles heel - it fascinated me." He has always been fascinated with Smaug ever since his childhood, and jumped at a chance to actually become this dragon once and for all. 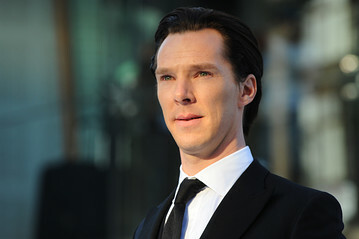 Benedict Cumberbatch is also the star of Sherlock and Star Trek: Into Darkness. That just about wraps up everything that is known about Smaug. 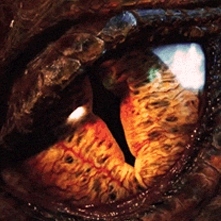 I hoped you learned something new about Smaug in the upcoming film The Hobbit: The Desolation of Smaug. If you have any thoughts or ideas about this or any other topic relating to Tolkien and The Hobbit movies, be sure to leave a comment!